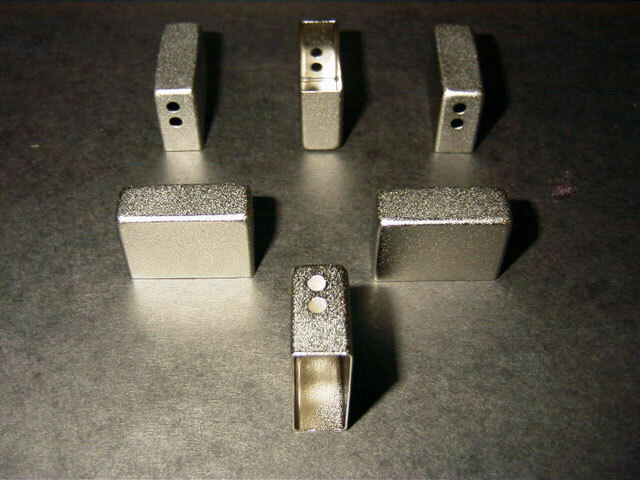 Electroless nickel is harder and more abrasion resistant than electro-deposited nickel. It's main uses are hydraulic cylinders , rotating shafts, pistons, gears, thread guides, cutting tools, and dies. Deposit hardness as plated can range in Vickers hardness from about 500 to 600 HVk and can be increased to about 1000 Hvk by heat treating. Most coatings contain a certain percentage of phosphorus which is what provides the outstanding corrosion protection. Lower porosity makes the coating generally superior to electro-plated nickel in corrosion protection thickness for thickness and can be improved with heat treatment. Coating thickness is very uniform even in holes and recesses since no electricity is used in the process. The coating also has non-magnetic properties.